It is extremely easy to commit fraud but it is extremely hard to get away with it. An employee of a Sydney insurance company set up a fake company complete with a registered name, letterhead and a PO box number to defraud half a million dollars from her employer according to police prosecutors. The woman then allegedly used this company and several false documents to obtain a $720,000 loan to buy a house in Sydney’s northern suburbs. Rose Marie Lo-Giudice, 39, appeared briefly at Downing Centre local court yesterday on four charges of dishonestly obtaining financial advantage by deception and six charges of using false documents to obtain financial advantage. 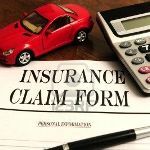 Lo-Giudice worked as a claims officer for Allianz Australia when police allege between September 29 and December 23 last year, she prepared and lodged 46 fraudulent claims for a particular type of car insurance, known as motor equity insurance, with Allianz Australia. Ms Lo-Giudice lodged the claims on behalf of a fake company, Esanda Property Group. Police say she created this company by registering a false business name and creating a false letterhead for faxes. She then indicated to Allianz that payments for the claims should be sent to a PO box at the Queen Victoria Building. The total claims she collected total $509,466. Police say Ms Lo-Giudice used a bank account set up in the name of Esanda Property Group, and several fake documents, to buy a house in Gladesville. They say the woman opened an account at HSBC Bank and two weeks later was given a $720,000 home loan to buy a house in Orient Street, Gladesville. The documents Ms Lo-Giudice submitted to prove her identity and employment to get the loan allegedly included a fake passport and two false bank account documents. There were also allegedly two false Allianz Australia payslips in her name, which police say came from an account registered in the name Esanda Property Group. Ms Lo-Giudice was arrested by detectives on June 30 and declined to answer questions in an interview at Ryde Police Station. Yesterday in court she requested a two-week adjournment to seek further advice from her lawyer, which was granted.